Alex Anthopoulos rocked the baseball world on July 30th, 2015, acquiring ace David Price from the Tigers in exchange for top prospect Daniel Norris, Matt Boyd, and Jairo Labourt, officially cementing the Blue Jays as contenders and AL East favorites. While the value of the deal was questionable, it sent ripples throughout the league, and sent Blue Jays fans into a state of frenzied excitement. Fast forward three months. After posting 2.7 WAR for the Blue Jays in 11 crucial starts for the Jays down the stretch, Price endured a rocky postseason with a 6.17 ERA that gave him the label of a playoff choker (despite his advanced metrics all suggesting he was the same old David Price). He was asked to pitch out of the bullpen, and the organization was widely criticized for his handling. Now, with Alex Anthopoulos moving on to greater other? 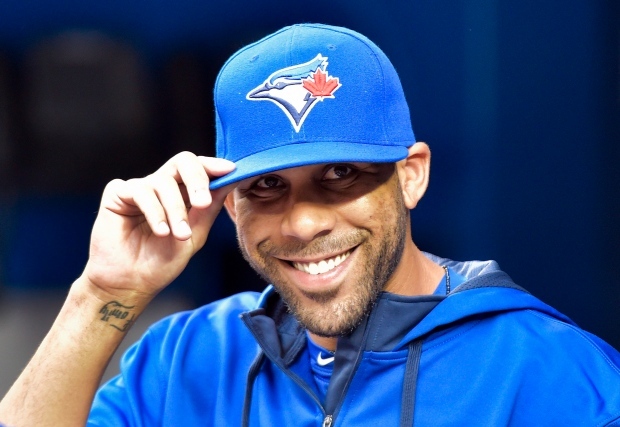 unknown opportunities, and new management being brought in, the biggest question that looms over the organization at the moment is what will happen with David Price. The common consensus among the fan base seems to be a strong urge to bring back Price. Seemingly fitting in with the culture of the clubhouse perfectly, Price is a true ace in all aspects of the word, something the Blue Jays have lacked since the days of Roy Halladay. With word breaking that the budget is expected to come in at $140 million, fans are clamoring that with the $32 million the Jays have found in budget room (with roughly $108m filed away between guaranteed salary and arbitration projections), it should be used to bring back the new-found clubhouse favorite and ace. That’s a large financial commitment to be making, though. Price will command hundreds of millions of dollars! Let’s take a look at just what it might take. Looking at the players comparable to Price who have signed extensions in recent years, we’ve seen Max Scherzer and Clayton Kershaw get average annual values of over $30 million per year, while pitchers like Justin Verlander, Jon Lester, Felix Hernandez, and Zack Greinke have gotten amounts nearing or over $25 million. As well, there’s the question of whether or not it’s even a sound investment. While I’m sure we can debate over how many years Price is going to get, a reasonable ballpark is probably within the realm of 8 years. Price just turned 30 and is likely the leading starting pitching candidate on the market, with the age advantage on Greinke and the performance advantage on Cueto. With Scherzer garnering $30 million per year, that seems like a reasonable comparison to Price, which would make the contract something like 8 years, $240 million. So as we can see, it looks like your typical big-money contract, maybe a little better. The last year of the deal is really ugly, but looking at the sum of the parts, it looks like a fair deal. However, Price’s production relative to his contract isn’t the only consideration in re-signing him. Far from it. While Price might be the biggest question for the Blue Jays this offseason, he’s not the only question. The only pitchers currently slotted into the rotation next year are Marcus Stroman and R.A. Dickey. Mark Buehrle is retiring, more than likely; Drew Hutchison is coming off of a disastrous year in which he lost his spot in the rotation; and it’s looking unlikely that the price tag will align itself with Marco Estrada, especially with a DIPS-conscious president in Mark Shapiro. With that leaving Stroman and Dickey as the only two starters, that leaves 3 rotation spots open. As well, the club will be investigating potential contract extensions for playoff heroes Jose Bautista and Edwin Encarnacion, and, perhaps, for MVP candidate Josh Donaldson. That’s quite the number of potential expenses coming up, and it’s not like they can simply be ignored. The Blue Jays already have long-term contracts committed to Troy Tulowitzki and Russell Martin worth $20 million each for 2017. When you consider that Bautista, Encarnacion, and Donaldson will all almost certainly make $20 million or more, that’s more than $100 million committed to just 5 players, or 12.5% of the 40-man roster. With Price, that could mean as much as an extra $30 million, making $130 million committed to just 6 players in 2017. Keep in mind, these players will all be over 30 years old. If you’re wondering where you’ve seen this movie before, it’s the Philadelphia Phillies; the Phillies had $134,735,722 committed to 9 players in 2012, with $41.5 million committed between Roy Halladay and Cliff Lee. This has ended in the albatross given to Ryan Howard being immovable (which is saying something, considering Vernon Wells found a new home, as did Matt Kemp), and the Phillies being completely devoid of young talent, saddled for years with large contracts. Their General Manager, Ruben Amaro Jr., has recently found a new home as the Red Sox first base coach. The new President of your Toronto Blue Jays, Mark Shapiro, doesn’t exactly seem like the type to have a nucleus of expensive veterans, and one must wonder if, beyond considering re-signing Price, he’s even considering moving one or both of Edwin or Bautista before they decline. Shapiro has had a great deal of success with this before, trading Cliff Lee for a package including Carlos Carrasco, and C.C. Sabathia in a deal that brought in Michael Brantley. As well, there’s the inherent risk that Price either declines prematurely or fades altogether due to injury. Ask how the Phillies have felt about paying Cliff Lee lately, or the Tigers for paying Justin Verlander. Perhaps the Giants with Tim Lincecum and Matt Cain. Pitchers are notoriously volatile when it comes to health and all it takes is one pitch for Price’s UCL to go boom, leaving a $30m sunk cost. That’s a massive amount of dead money on the budget in any given year. While a Price deal could make sense in isolation, for the Blue Jays, it might not be the deal route to take. The combination of a very expensive, aging core, coupled with other areas to spend money on and the risk that Price explodes is a very valid set of reasons that you’d want a Price contract to be a mistake for another team to make. So what else can the Blue Jays do? Well, the Blue Jays DO have $140m available this year, so might as well do something with it, right? MVP! MVP! MVP! Donaldson was an incredible bargain this year for the Blue Jays, both in terms of what was given up to acquire him and his salary. Entering his 2nd year of arbitration, Donaldson could be due for a contract extension – he’s certainly earned one after the year he had. He also has 3 years of arbitration left including this year, with said current year projected to grab him $12 million or so. Donaldson will almost certainly end up earning nearly $20 million in the near future. The contract comes out to a total of 9 years, with a bill of $200 million, for a $22.22 million average annual value. It takes Donaldson into his age 38 season. Donaldson’s free agent value would likely be suppressed by the fact that he doesn’t hit free agency until the age of 33, and it could be appealing for him to guarantee himself a life-changing amount of money in a city he just had a career-high amount of success in, making it a mutually beneficial contract. Instead of shelling out the big bucks to David Price, a feasible alternative would be to allocate the resources slightly differently. Signing Heyward and Gordon both come with different caveats, but are probably similarly beneficial at the end of the day. A strong pro to this is that hitters, especially such consistent hitters such as Heyward and Gordon, are generally far less risky than pitchers, and it’s much less likely you see them lost for the year. As well, the Blue Jays have strong outfield depth; signing Heyward or Gordon would allow the team to trade one or two of guys like Anthony Alford, Dalton Pompey or Kevin Pillar for pitching help, addressing several needs at once. The caveats that come with Heyward and Gordon are very different, though. Heyward is one of the most underrated young players in the game, but that won’t stop him from grabbing a massive contract from a team that appreciates his defense. However, defensive skill declines fairly sharply with age (you didn’t think these alternatives would be flawless, did you? ), giving Heyward albatross potential down the road. That’s mitigated heavily by his skill as a hitter, but it’s something to keep in mind, which could lead to a mutually beneficial opt-out option after 4 years or so. Heyward could pursue an even larger deal as he’d be just 30 years old, typical free agent age, with a 4 year opt out. This would benefit the team as well, mitigating the risk that his defense falls off a cliff. A mutual option would likely be better, but an ETO would be a great add to the contract regardless, and might be easier to negotiate. Alternatively, Gordon is getting up there in terms of age, as he turns 32 shortly. He’s a consistently well above average hitter along the lines of Heyward, and his defense hasn’t fallen off… yet. He’s gold-glove caliber in left field, and would add another threat to an already ridiculous offense. Although Gordon’s age and the fact that a lot of his value is derived from the underrated area of defense are likely to suppress his value on the market, it seems more likely that Shapiro would look to a player like Heyward than an aging and potentially risky deal like Alex Gordon. This is where I expect the Blue Jays to make their mark this offseason. The market is rife with lots of mid-tier options below the aces on the market, making it one of the most appealing years ever for free agent pitching (and possibly free agents as a whole). There are the higher-end pitchers coming off of a poor season, such as Jordan Zimmermann and Jeff Samardzija, or lower-cost and highly durable options like Mike Leake, Bartolo Colon, and Wei-Yin Chen. As well, there are older pitchers with a great deal of upside, such as Hisashi Iwakuma and John Lackey, injury-prone pitchers with upside such as Scott Kazmir, Brandon Morrow, and Brett Anderson, and old-broken down veterans like Doug Fister and Kyle Lohse. There are also interesting fliers, such as Joe Blanton, Rich Hill, and JA Happ. And whatever Mat Latos is. There’s just about every single kind of pitcher available on the market, and the Blue Jays should be able to sign at least 2 of them with $30+ million in budget room. This route would be especially effective as most of these pitchers will command around 3 years, and the risk is lessened greatly by spreading the investments. That would leave the rotation as Stroman, FA, FA, Dickey, ?. Between Liam Hendriks (Intriguing option with his velocity increase), Roberto Osuna (Does he have the mechanics to start? He’s got the pitch mix), and Aaron Sanchez (let’s not go there), at least one of them should impress the organization enough to be a starter out of spring training, forming a reasonably strong rotation to go with a ridiculously potent offense. The Blue Jays have assembled a formidable core, with perhaps one of the best offenses the league has ever seen. However, it’s getting older. We’ve seen this movie with the Phillies (albeit, they were more pitching-slanted). The Jays also have several holes in the pitching staff next year beyond Price’s potential departure. It doesn’t seem to be realistic to expect Price to make anything less than $25-30 million next year, and when you combine that with the looming expenses upcoming for the Blue Jays, a Price extension starts to seem untenable for Toronto. As well, Price has over 1400 innings taxed on his arm, and is now on the wrong side of 30. There are a number of alternative ways to invest the money in a way that will improve the situation the team is in, and hopefully lead the team to a state of perpetual contention. Can’t really compare the surplus value of a free agent with a guy who has 3 arb years left. The Jays already paid a big price for those arb years. It’s essentially a 6/150 extension. No chance Donaldson would take that. Miggy Cabrera got a $300M extension when he was basically in the same situation as Donaldson is in right now. MVP season, still multiple years away from free agency, and 32 years old when the deal kicks in.